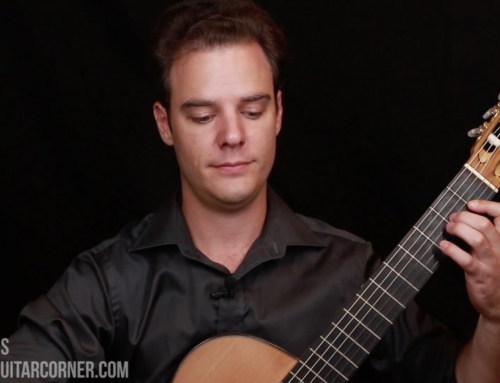 One of the reasons the classical guitar is such an intimate and personal instrument is because we are directly connected to the sound production through our nails and fingers. Unlike the piano, where a hammer strikes the string, or a violin where a bow makes the string vibrate, we are in direct contact with the strings. For this reason we need to take great care with the nail surface and shape that touches the string because it will have an immediate effect on the tone we produce. Before we even get started talking about nails, it is important to acknowledge that all hands are different. Long fingers, short, fat and skinny, our unique set of hands mean that we will develop a technique that it different from everyone else. On top of this, our nail shape, texture and angles are unique to us too, for better or for worse. Of course, this means that no one can definitively write down the perfect nail shape, or right hand position. Rather we can discuss good general tenets that will set ourselves up for some extensive experimentation. There are three main shapes that you will find amongst guitarists, a rounded nail, a flat nail and a ramped nail. Put simply, a rounded nail will follow the curvature of the fingertip, a flat nail will be shaped relatively straight across from left to right and a ramped nail with be shaped on an angle from left to right, or in some cases, right to left. I suggest that if you are new to nail shaping, that you let your nails grow out to extend approximately 3mm from your fingertip, and shape them with a gentle curve that follows the flesh of your fingertip. The more gentle the curve of the nail, the more forgiving the sound will be with its variation. As you begin to ramp your nail, or try more angular shapes, the sound you produce will vary quite a bit depending on how accurately you place your nail on the string for each note. To start off with prepare your nail to play on the string so that the string touches where the flesh and nail meet. Practice preparing this point very slowly so that you can build up consistency. You will find that the tone produced will change depending on the direction of your finger movement across the string. If the nail travels straight across the string, perpendicular to the string, it will get a clear and perhaps thin sound. In contrast, if you bring the nail across the string on a lengthwise angle, aiming from the fingerboard towards the bridge, you will get a fuller deeper sound. Also, you will want to experiment with plucking the string upwards, out from the soundboard, and also pressing in towards the soundboard. These two sounds are distinctly different and it a common mistake for beginner guitarists to pluck the string away from the soundboard getting a brittle sound, and sometimes catching the string with the nail which can slap against the fingerboard. If your nail is catching under the string, it probably has more to do with the angle you are playing the string that your nail length. Once again, experiment to see what movements work, and the best sounds that your hands can produce.